With the power of the pen, Pine View alumna Megan Hart took her passion out of the country. 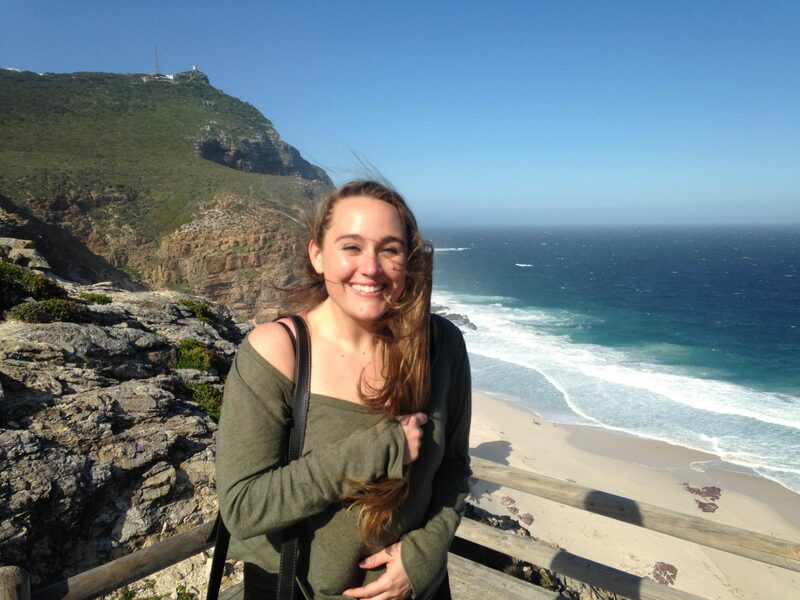 This past summer Hart had the opportunity to travel abroad and pursue journalism in South Africa. Hart graduated from Pine View in 2008 with a knack for journalism. She went to undergraduate school at Florida State University (FSU) and then enrolled at Northwestern University in Illinois for graduate school, keeping her focus toward receiving her master’s in journalism. During her last year of graduate school, Hart received a scholarship to study abroad in South Africa — an opportunity that she gladly accepted. “Receiving this offer was truly great,” Hart said. Upon traveling to Cape Town, South Africa, Hart was able to work as a resident journalist from June to September of 2015 for the largest magazine publisher in South Africa, Highbury Safika Media. She specialized in sports magazines, and was thus able to get involved with certain fields she had never experienced before, such as cricket and rugby, two very popular sports in South Africa. She wrote many big stories for well-known publications such as South Africa Rugby, South Africa Cricket and Sports Illustrated. “I had some cover stories which was very impressive,”Hart said. Her favorite story that she covered while in South Africa was a piece about the transformation in South African cricket. As a journalist in a different country, Hart was introduced to many new topics and themes. According to Hart, reporting in South Africa was very different from reporting in America. She was one of only a few female sports reporters while in South Africa, so she had to get used to that change. Also, athletes are not as big as stars in South Africa, so getting interviews with the professional athletes was surprisingly easy, according to Hart. Though getting used to the changes was challenging at first, she quickly found her place and felt comfortable doing what she loves. “I really had to learn quickly, which is something that is very important for journalists. I had to get creative,” Hart said. [pullquote]I really hope to go back one day, or just even continue my relationships with [Highbury Safika Media].”[/pullquote]Now working in public relations at a local PR firm here in Sarasota, Hart enjoys what she currently does. Though her South African experience was only for a few months, she still carries it with her to this day. Taking the opportunity helped develop herself further as a journalist, and she hopes to never let go of it. “I really hope to go back one day, or just even continue my relationships with [Highbury Safika Media],” Hart said. Overall, Hart continues to embrace her adventure to South Africa and highly recommends it to anyone interested. “I loved it. It was an amazing opportunity. If I ever got the chance, I would go back in a heartbeat,” she said.